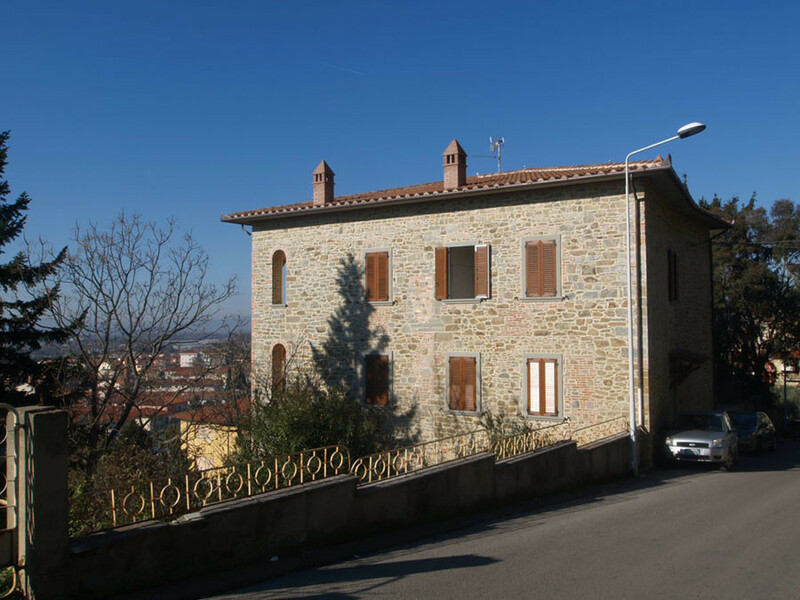 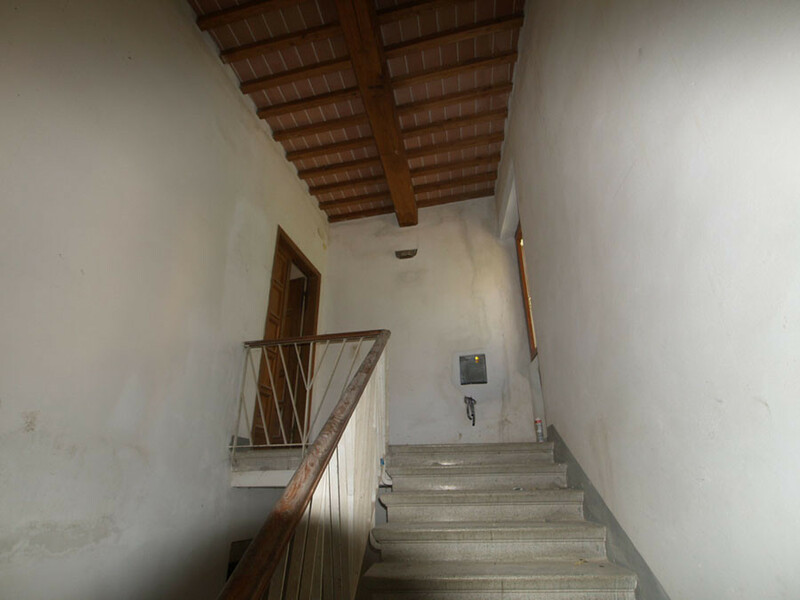 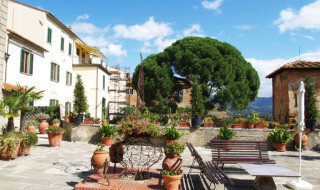 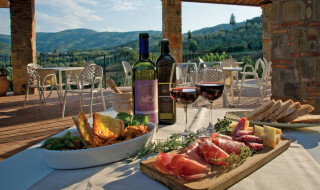 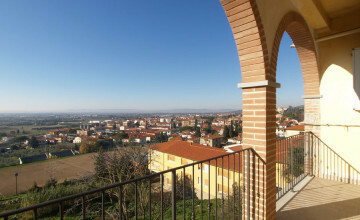 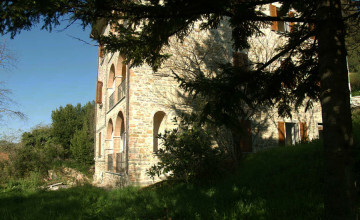 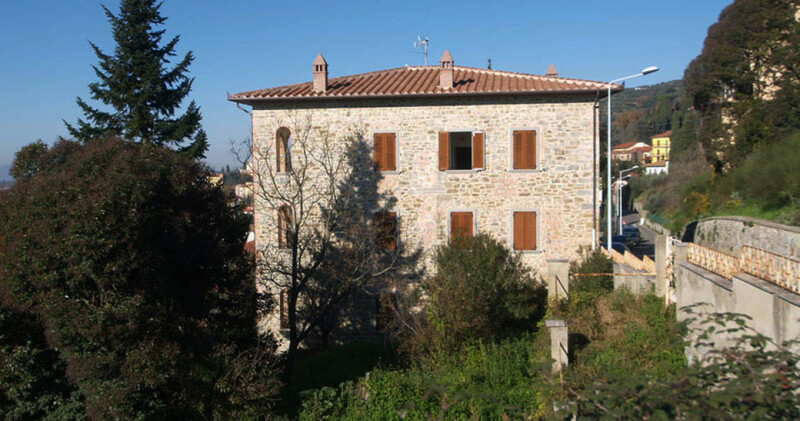 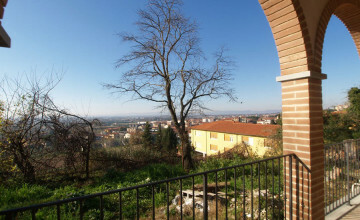 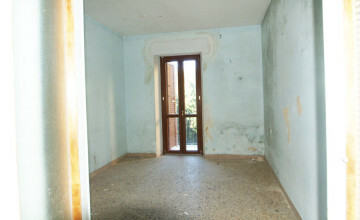 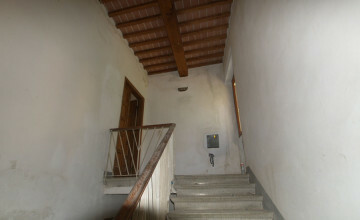 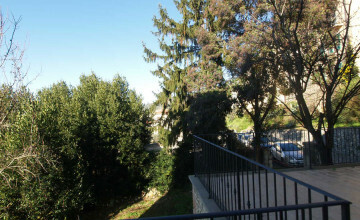 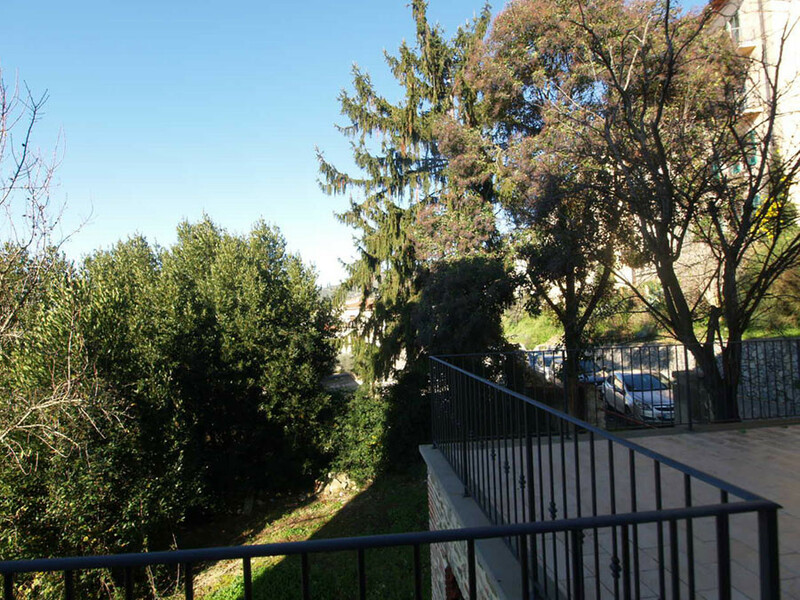 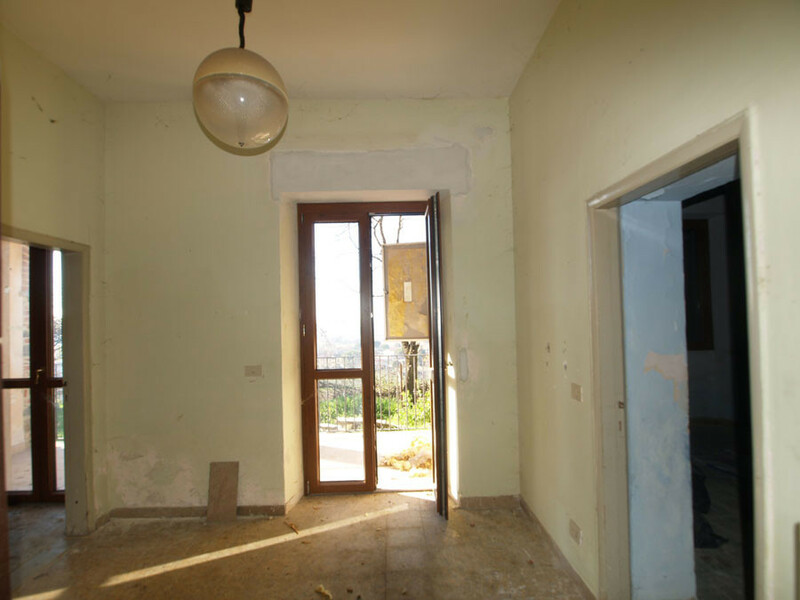 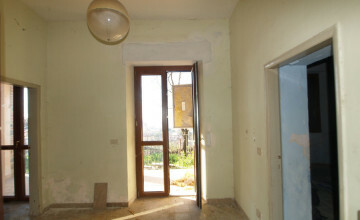 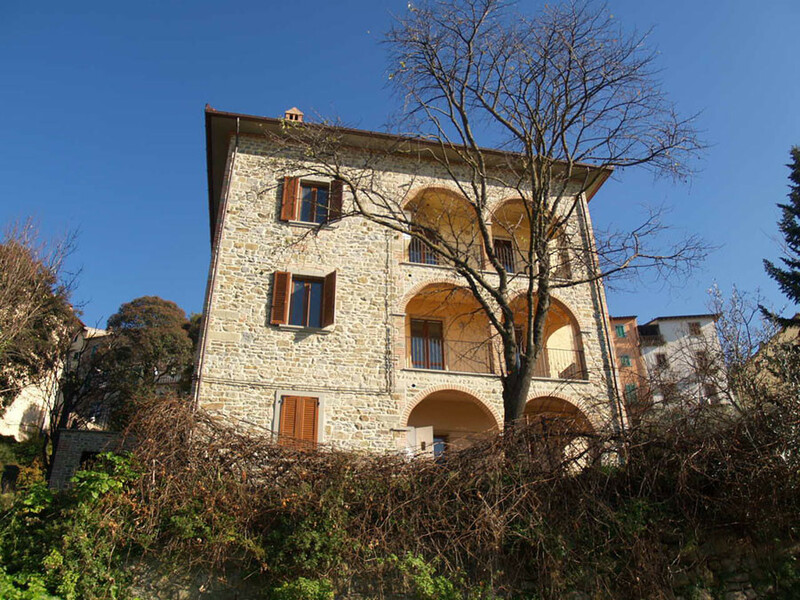 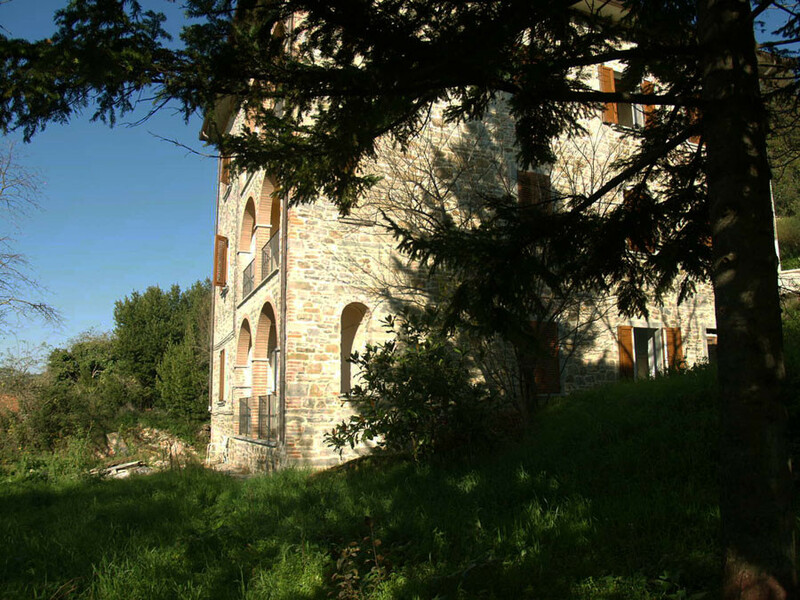 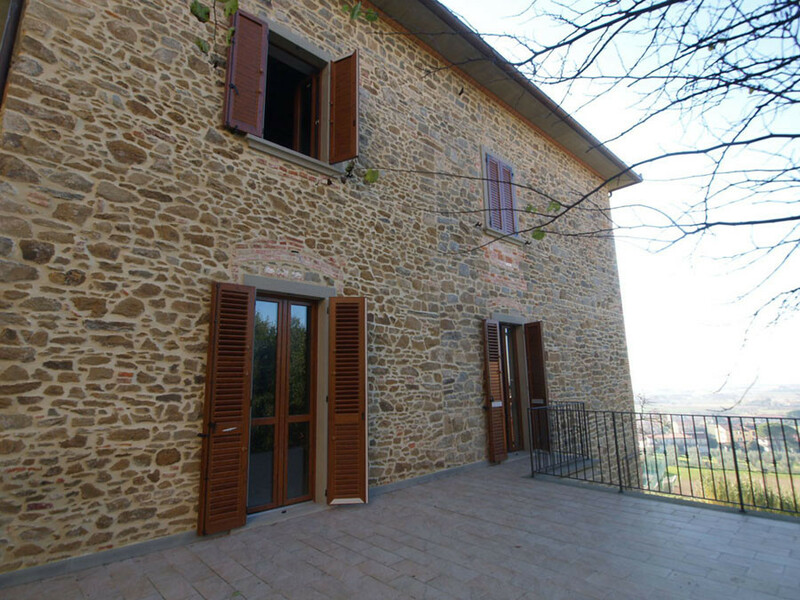 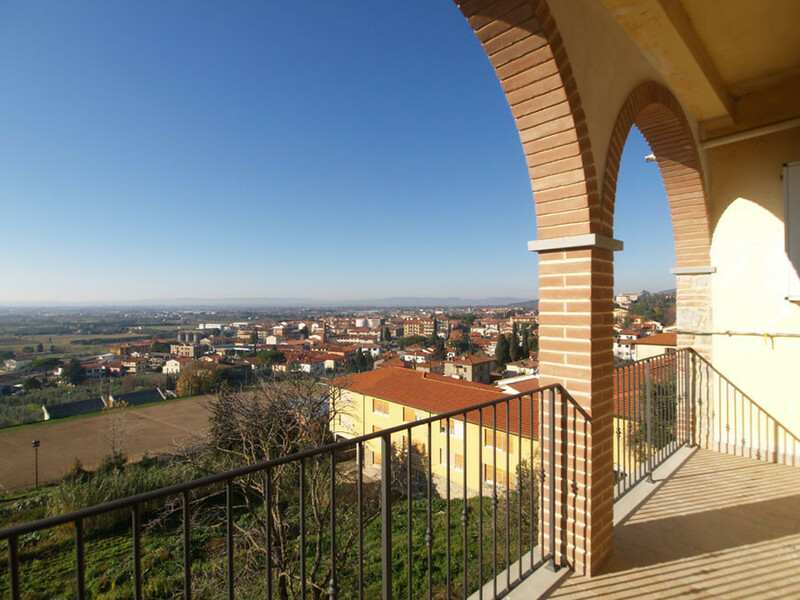 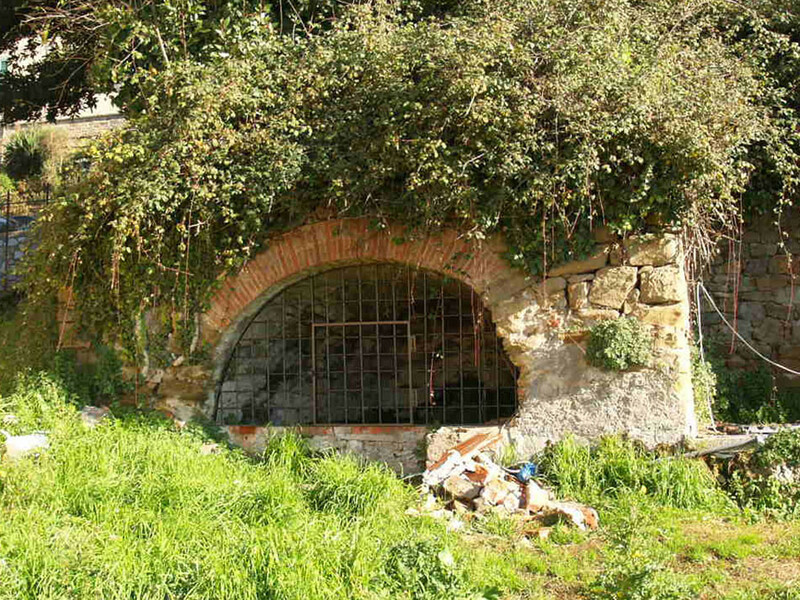 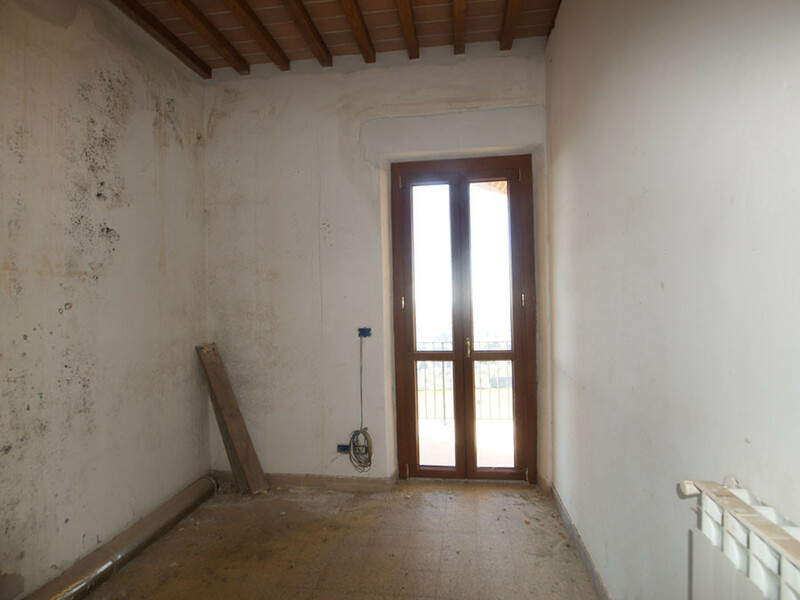 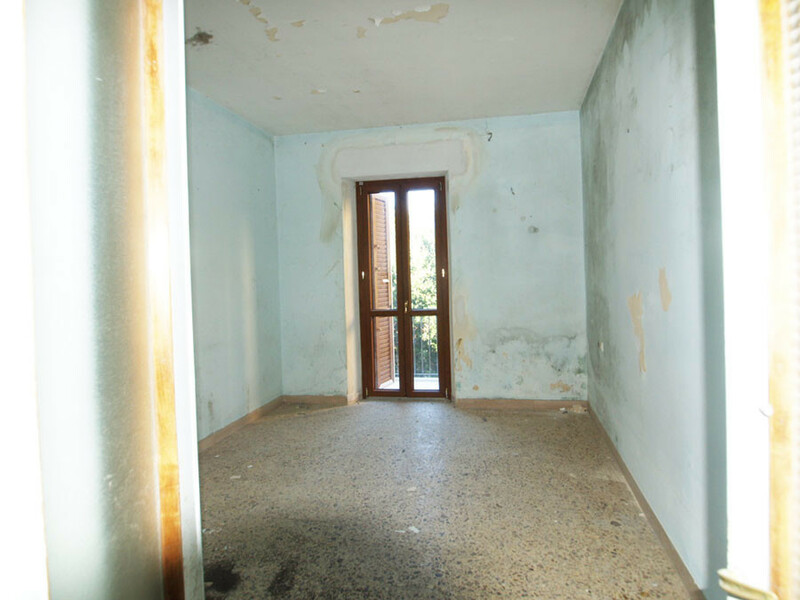 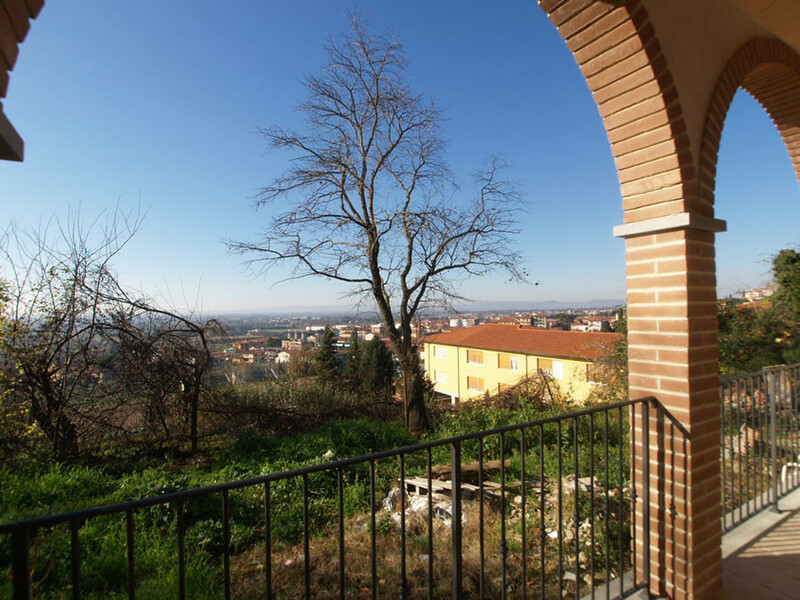 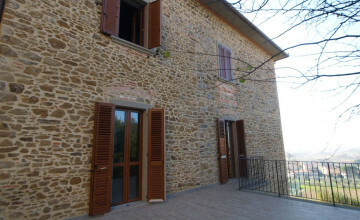 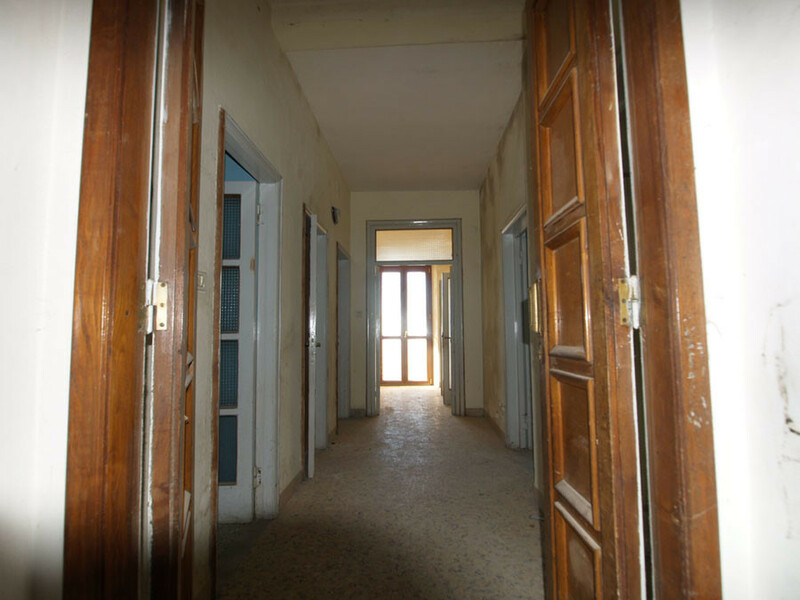 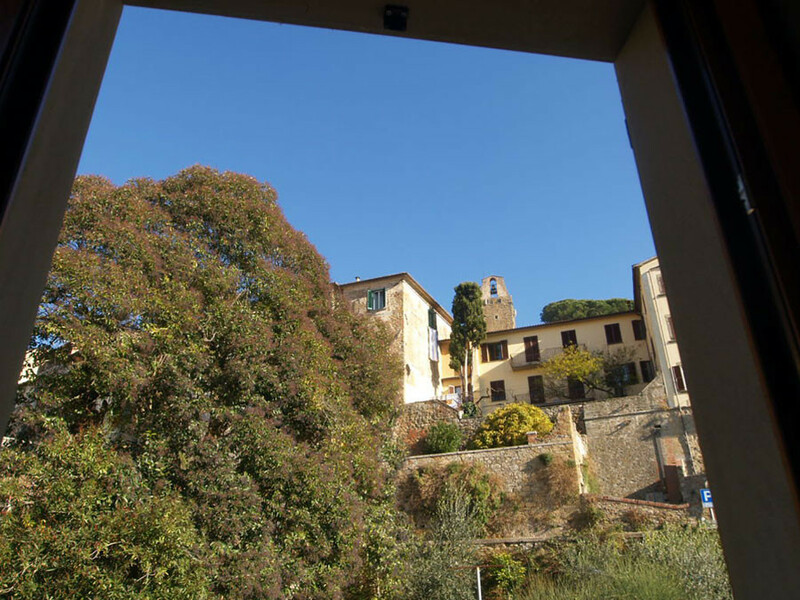 The property is located below the antique walls of medieval Castiglion Fiorentino. 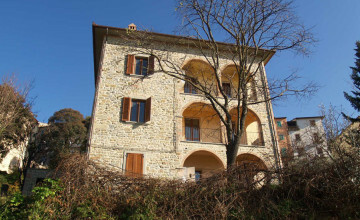 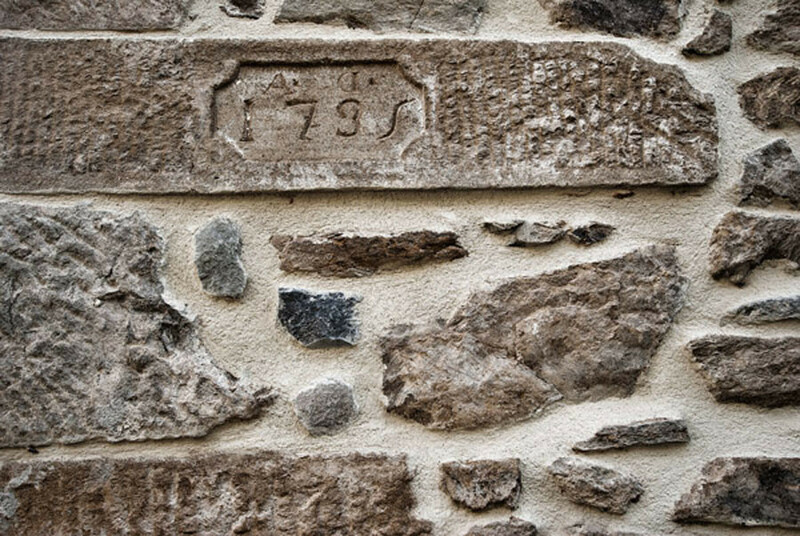 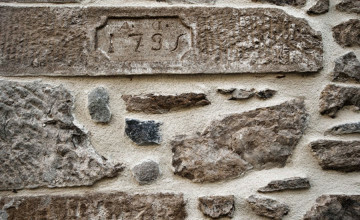 The stone building, dating back to the end of 18th century, measures about 300 m2 on three levels and features three, independent apartments. 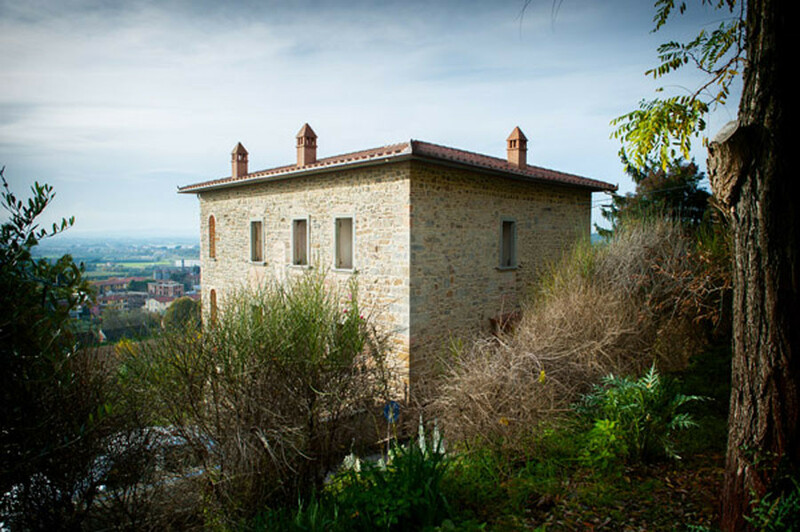 The ground floor consists of a two-bedroom apartment with bathroom, toilette, sitting room, kitchen and terrace as well as a cellar, garage and storage room. 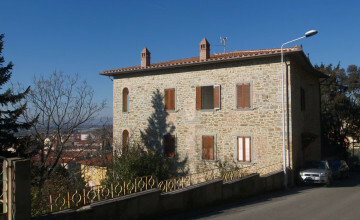 First floor apartment has three bedrooms, bathroom, toilette, sitting room, kitchen and two terraces. 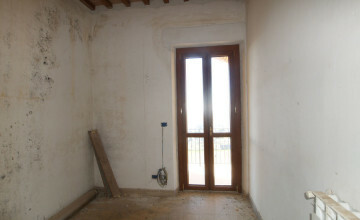 Second floor apartment has also three bedrooms, bathroom, toilette, sitting room, kitchen and one terrace. 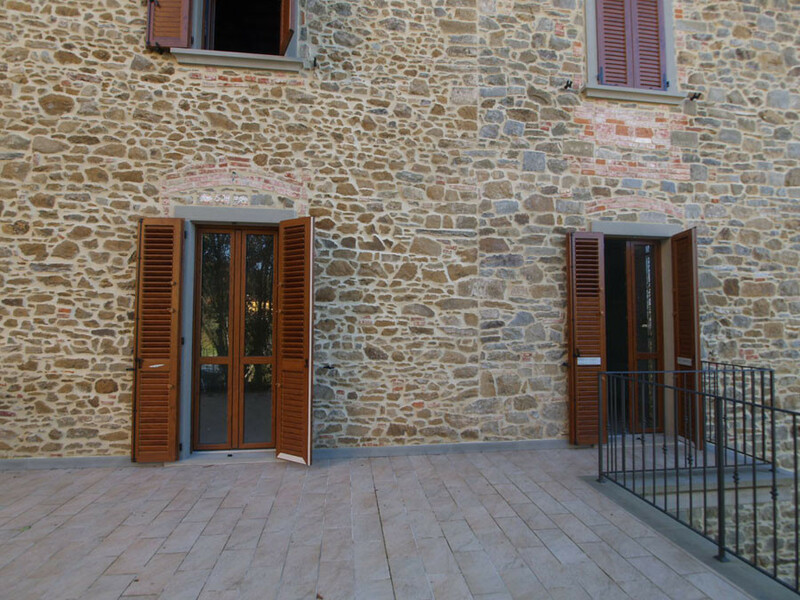 Recently the building was restored externally (external walls, new roof and new doors and windows in solid wood, double glazing and shutters). 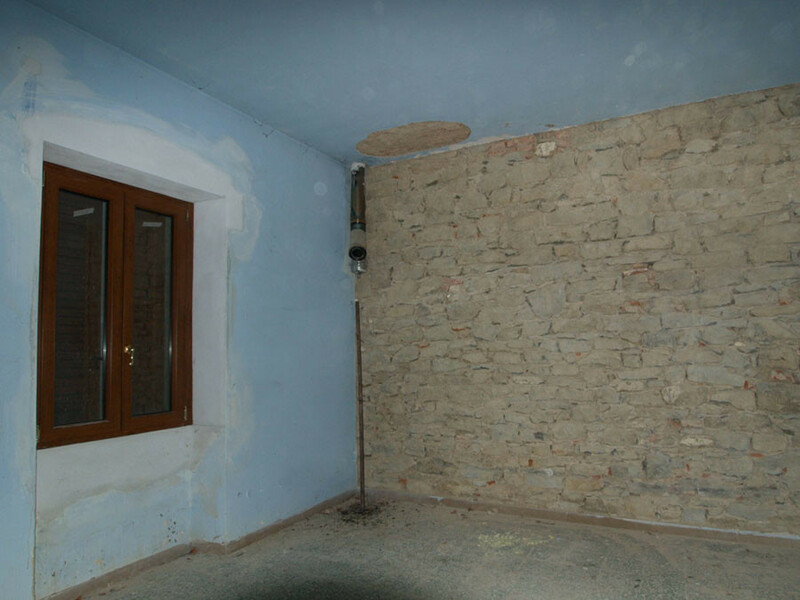 Interiors need to be re-painted. 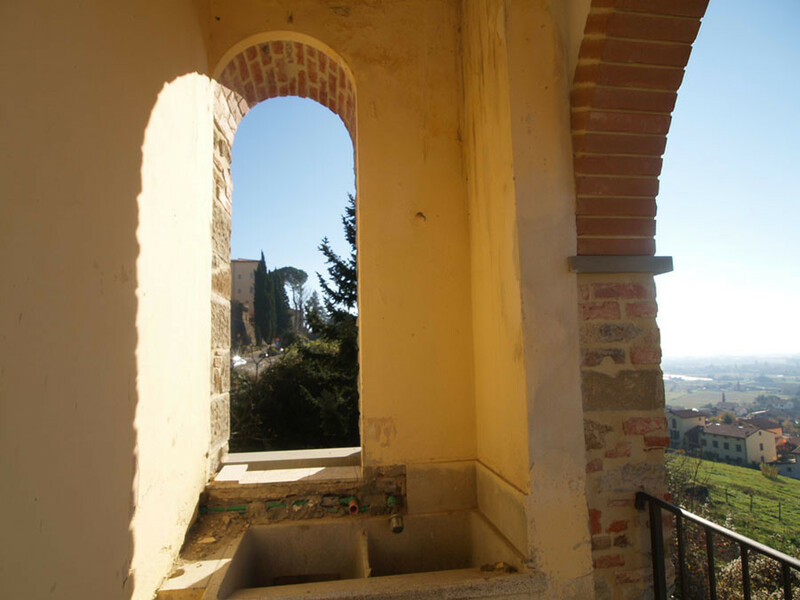 Bathrooms and kitchens could be modernized. 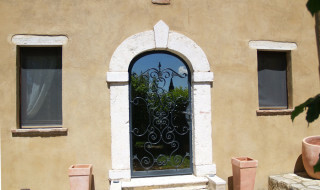 Internal doors are in solid wood or solid wood and glass and are in good conditions. 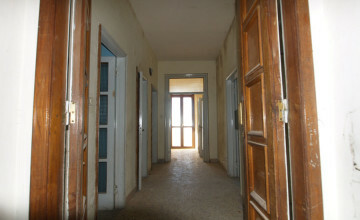 The top floor features beamed ceilings. 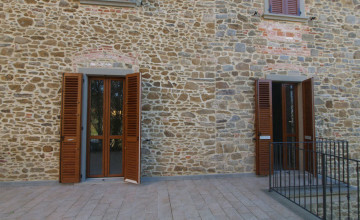 Installations were made in 2000. 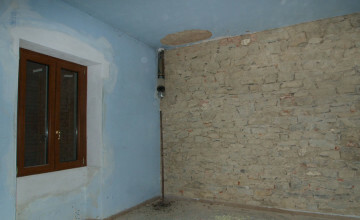 Heating systems should be controlled and new sewage system and septic tank are required. 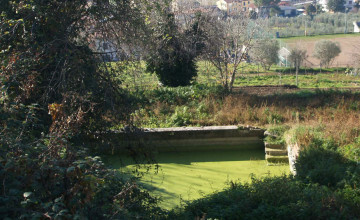 City water, electricity and telephone are in place. 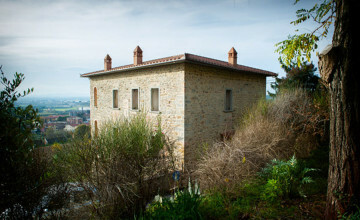 City gas is at 100 mt. 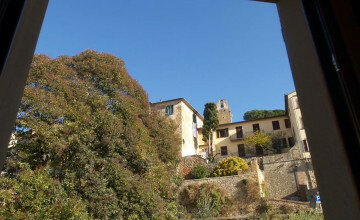 distance. 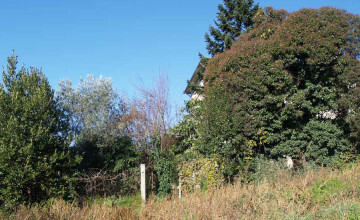 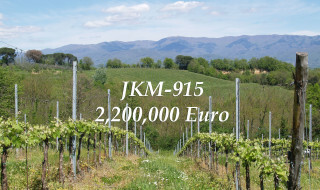 The land, which surrounds the property from three sides measures 5000 m2, with part cultivated as vegetable garden. 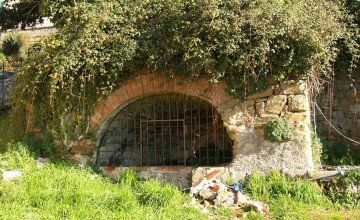 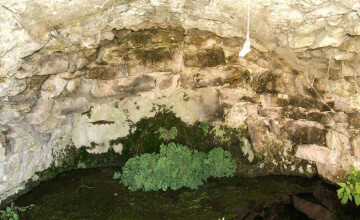 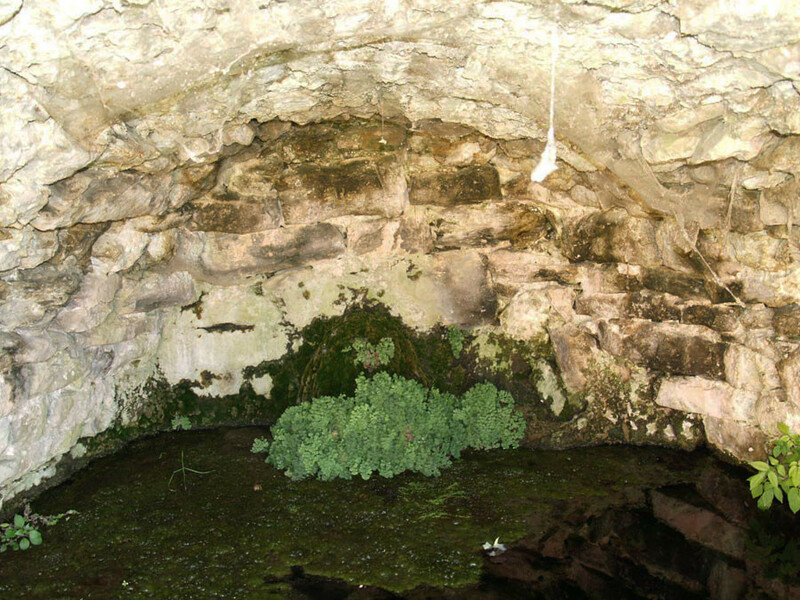 There is a private spring and rain water reservoir. 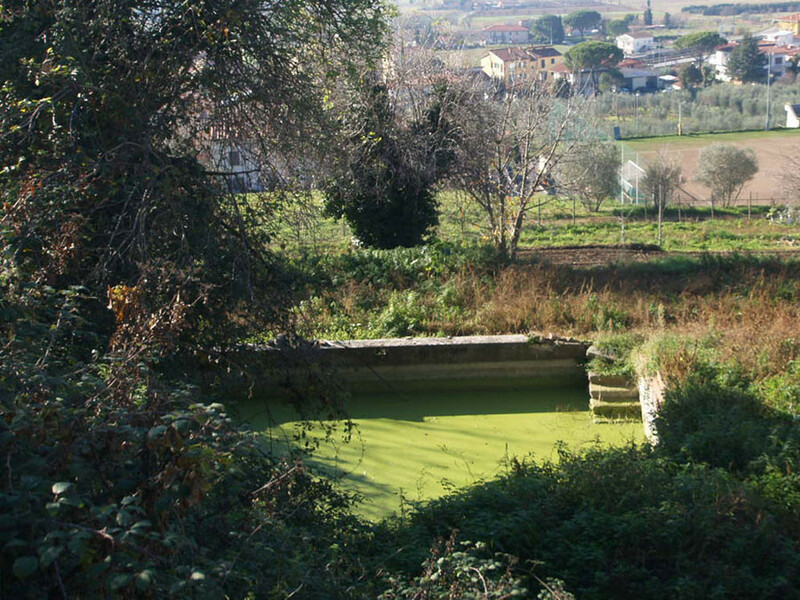 It is possible to build a swimming pool and accessory building. 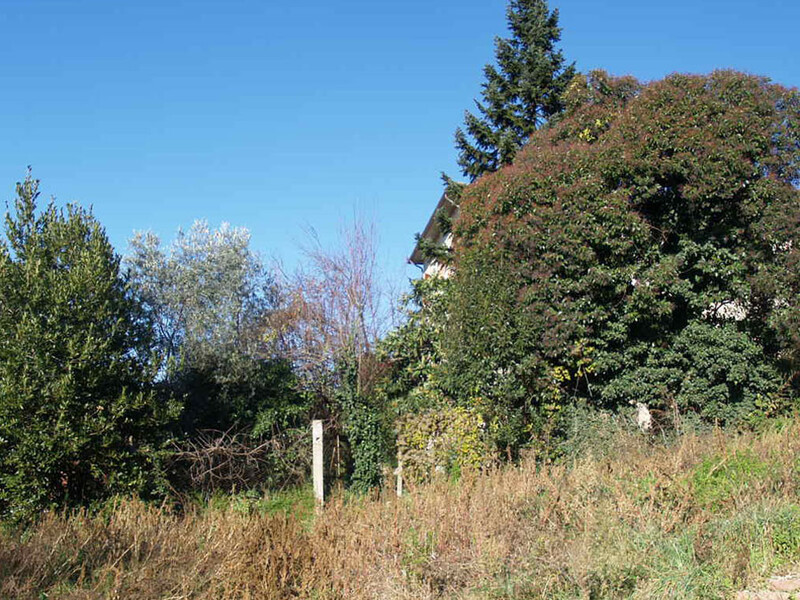 There are two vehicle entrances and two pedestrian accesses. 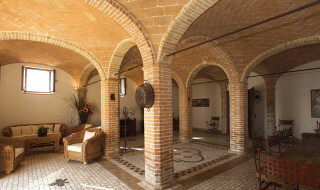 The property is perfect for a group of three families, or a B&B. 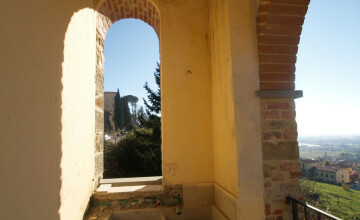 In fact, for many years it has been used by Santa Chiara, American university in Castiglion Fiorentino, students.